Following on the success of the larger Sherwood 30&60 models, the Sherwood 20R was designed with a range of different small-space uses in mind - and in response to a lot of good input from our customers. 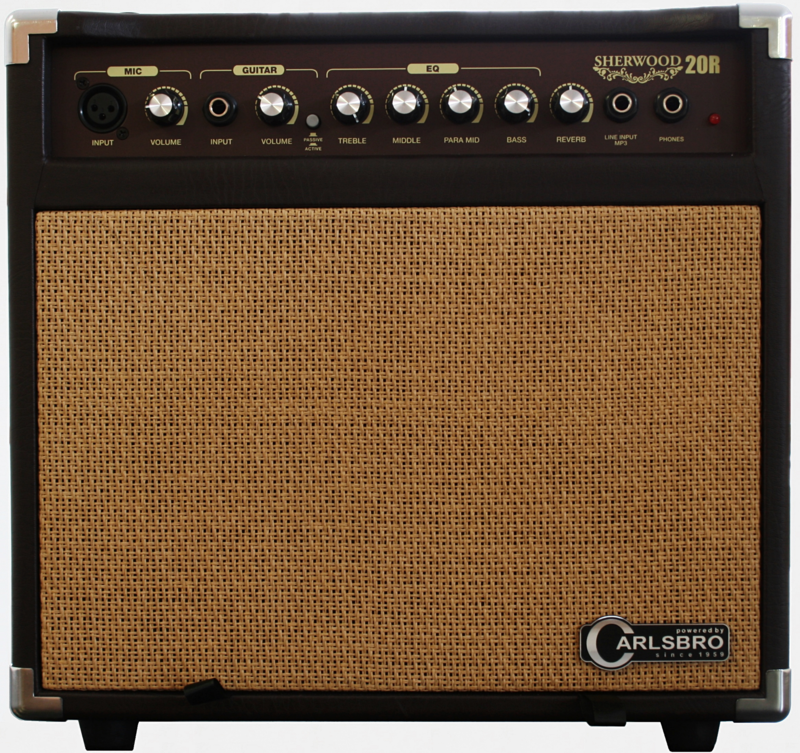 At 20 Watts, this model is a perfect tool for the solo artist playing acoustic sets/singing in small venues, bedroom practise and actually seems like a great little amp for those amazing buskers all around the world. With a great price-point, that same warm Sherwood sound and packed with enough features...this new addition to the Carlsbro range should prove to be on a large number of wanted lists.